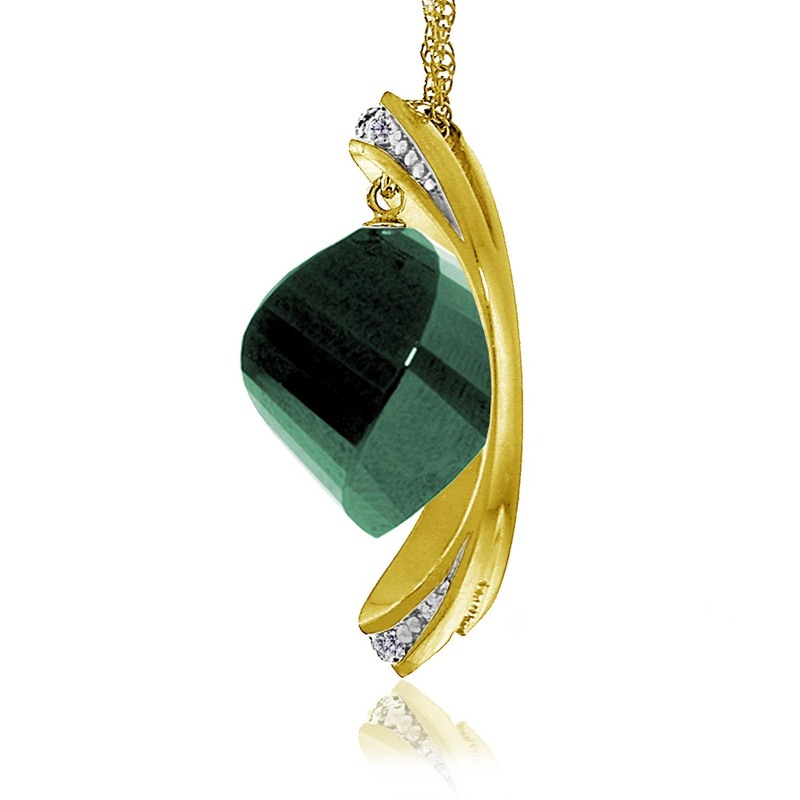 Emerald & diamond necklace handcrafted in solid 9 carat gold. 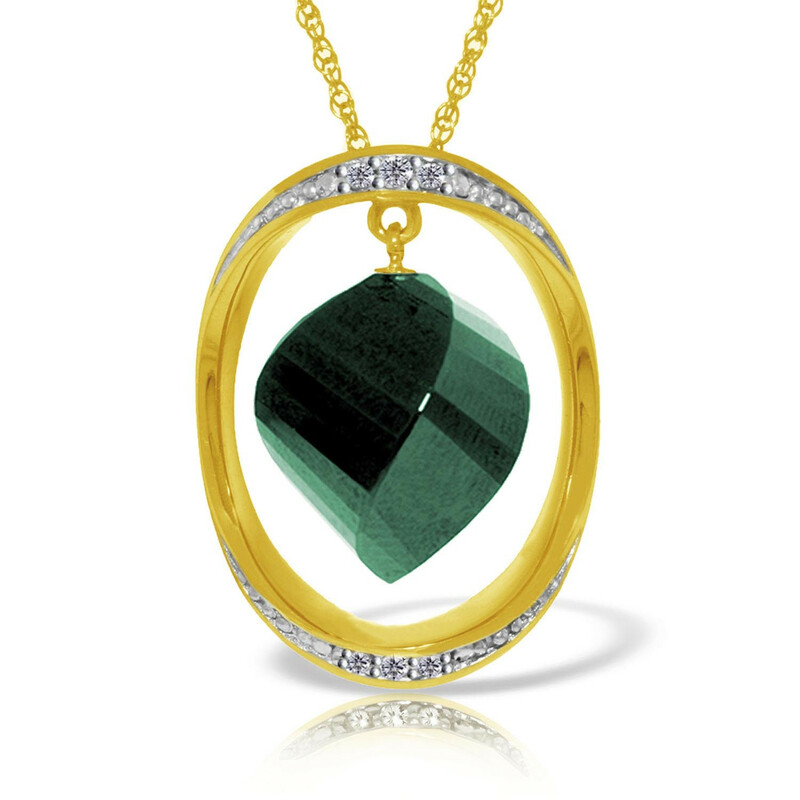 Single 15.25 ct natural emerald, six diamonds, SI-1/G, total 0.1 ct. Twisted Briolette cut. Pendant suspended from gold double link rope chain with spring clasp, length options from 14" to 24". Available chain thickness 0.68 mm (pictured) and 1.15 mm. A beautiful necklace and I got the length,18", just right. If I was purchasing a similar item I would order a thicker chain for such a expensive pendant.